All you need to know for your visit to Hauser & Wirth Somerset. If you are staying with us at Bistro Lotte in Frome and are keen to explore the nearby attractions, then you are in for a treat. There are many beautiful places to choose from and we would highly recommend spending at least a few hours at the wonderful Hauser & Wirth Somerset. 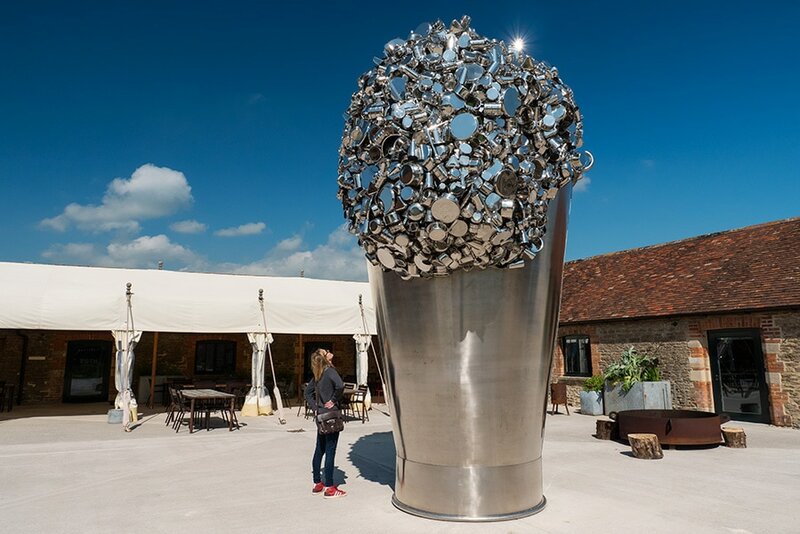 Located just down the road in nearby Bruton, Hauser & Wirth is an impressive international art gallery with a beautiful landscaped garden. We have put together a little history and all the essentials you’ll need to know and more about this exciting contemporary art space we are so lucky to have on our doorstep. 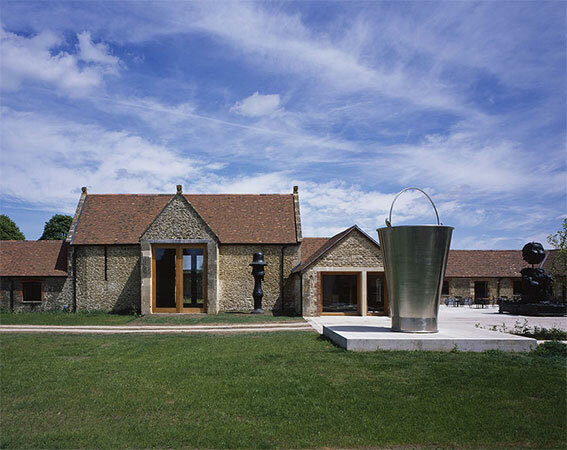 When did Hauser & Wirth Somerset first open? Hauser & Wirth Somerset opened in 2014. It is situated at the transformed Durslade Farm, on Dropping Lane in the town of Bruton, Somerset. The farm had lain abandoned for decades until it was bought by Ivan and Manuela Wirth in 2010. How long did it take to build Hauser & Wirth Somerset? The huge renovation project which transformed Durslade Farm into an international art gallery and cultural centre took four years in total to complete. At the time of opening in 2014, it became the fourth location for the Hauser & Wirth group, other galleries already situated in Zurich, London and New York. Durslade Farm covers 200 acres of farm land surrounding the gallery. On-site Hauser & Wirth incorporates the gallery with The Roth Bar & Grill and gift shop. The contemporary art gallery is housed in beautifully renovated old stone farm buildings that where once threshing barns, workshops and a pigsty. The galleries that now occupy these spaces have been named accordingly after their former use. 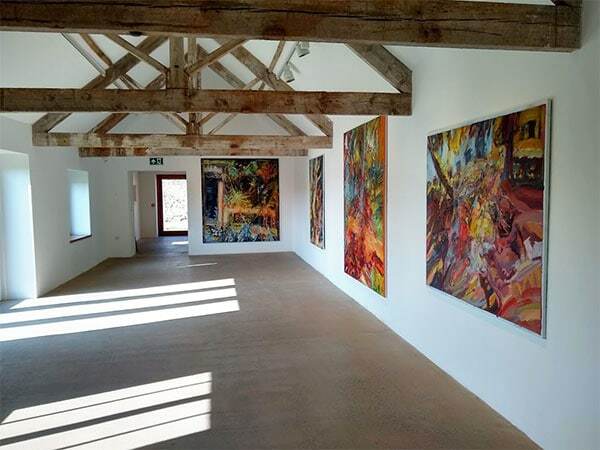 During the redevelopment of the farm into the modern art space of today, the old farm buildings were lovingly restored and interlinked with large modern structures to display a variety of artworks of all scales. These new gallery spaces have been named after artists Jason Rhoades and Louise Bourgeois. Who designed the grounds and garden at Hauser & Wirth Somerset? 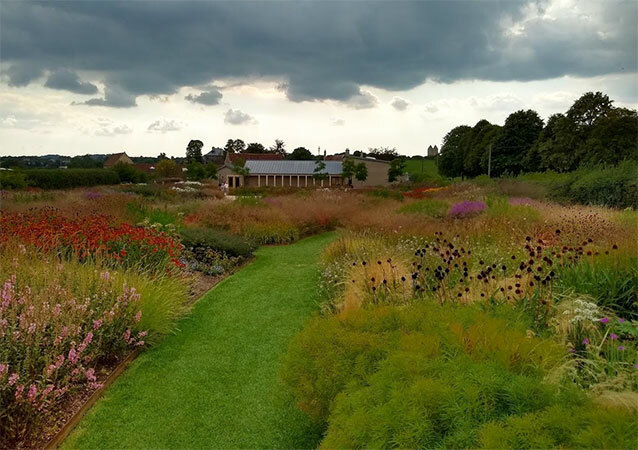 Hauser & Wirth Somerset commissioned renowned Dutch landscaper Piet Oudolf to design the entire grounds and garden of the gallery. He created the awarding winning Oudolf Field which is situated directly behind the Bourgeois gallery for all visitors to enjoy. Oudolf Field is a perennial meadow with many large, soft organic shaped beds. These are planted with huge swathes of plants including many tall grasses and an abundance of species of flowers with spectacular sculptural seed heads. Piet Oudolf has skilfully designed the planting scheme to create a garden that has interest at all times of year. 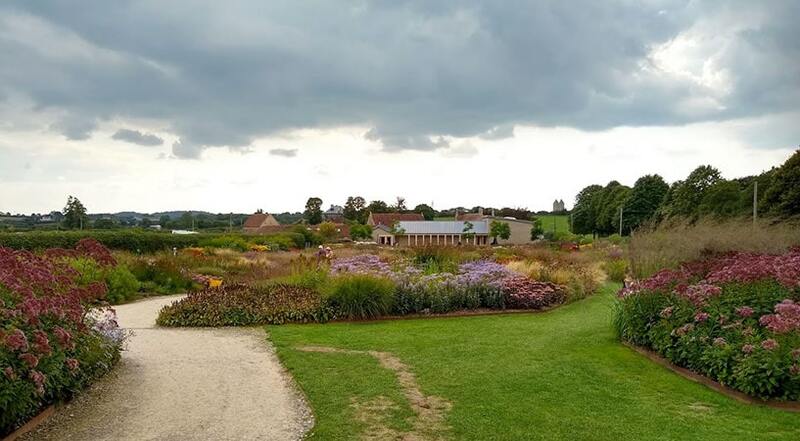 For further insight into the gardens, take a look at this video of Piet Oudolf discussing the project at Hauser & Wirth Somerset. At the end of Oudolf Field there is a large sculptural building called the Radić Pavilion. Designed by Chilean architect Smiljan Radić, it was originally unveiled at the Serpentine Gallery in London in 2014 before being moved to the garden at Hauser & Wirth Somerset in March 2015. Throughout the year, Hauser & Wirth hold events and seasonal celebrations in the garden and the Radić Pavilion plays host to live music and a bar, providing the perfect outdoor garden party venue. Who owns Hauser & Wirth? Hauser & Wirth was founded by Ivan Wirth and Ursula Hauser in 1992. Wirth first met Ursula Hauser, (a Swiss retail magnate and renowned art collector), in 1990 when he approached her with an opportunity to buy a Picasso and a Chagall. Wirth was a young ambitious Zurich based art dealer and could not afford to purchase the two classics alone so suggested that Ursula Hauser invest with him. A partnership was formed and soon after Ursula’s daughter Manuela became Ivan’s secretary for the fledgling art business. Ivan and Manuela married in 1994. Ivan and Manuela have become known as the gallery world’s ‘power couple’ and are ranked in the top 10 of most powerful and influential figures in the art world by Art Review. In 2012, the couple were given a senior lecturer position in modern and contemporary Asian art for the Courtauld Institute of Art in London. Then in 2015, Ivan and Manuela were awarded honorary doctorates by Bath Spa University. Where was Hauser & Wirth’s first gallery? The first gallery opened in Zürich, Switzerland in 1992. The city now has three Hauser & Wirth gallery spaces located in the former Löwenbräu Zürich brewery building. Where are Hauser & Wirth galleries across the world? Hauser & Wirth have expanded their gallery numbers greatly in the last decade. Their gallery locations now include Zurich, Switzerland (1992); London, UK (2003); New York, USA (2009); Bruton, Somerset, UK (2014); Los Angeles, USA (2016); Gstaad, Switzerland (2016) and Hong Kong, China (2018). What is the current exhibition at Hauser & Wirth Somerset? 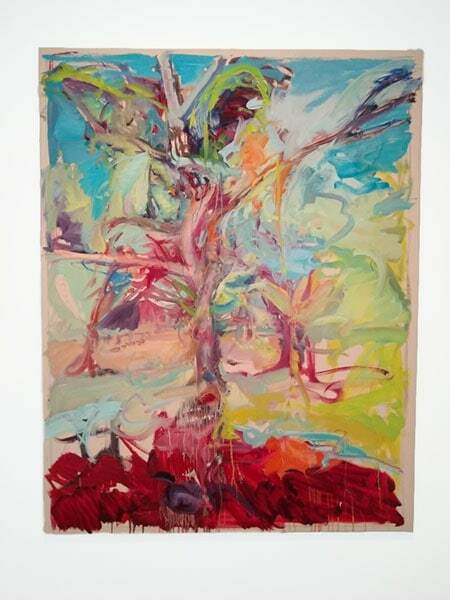 There are currently two artists exhibiting in Hauser & Wirth Somerset. Both artists have recently been artist in residence at Hauser & Wirth Somerset and are displaying works they created during this time. 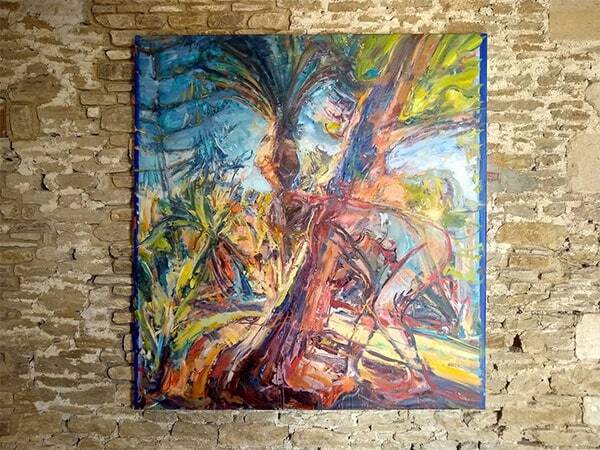 Expressionistic landscapes, vigorous sketches, experimental collages and portraits. View more on Hauser & Wirth Somerset website. Painting, drawing, sculpture, furniture, and installation. Society’s relationship with its environment. View more on Hauser & Wirth Somerset website. What’s the next exhibition at Hauser & Wirth Somerset? Works from the Ursula Hauser Collection. 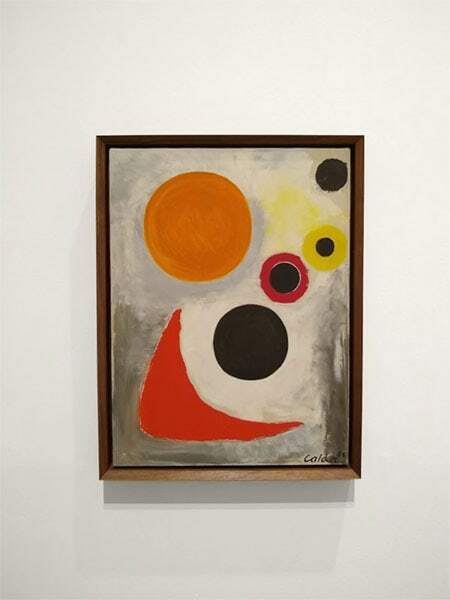 This exhibition promises to be extremely fascinating and eclectic displaying the hugely varied and exciting collection that Ursula has built up over the years. Learn more about this exhibition on Hauser & Wirth website. What are the opening times for Hauser & Wirth Somerset? What is Hauser & Wirth Somerset’s Phone number and email address? 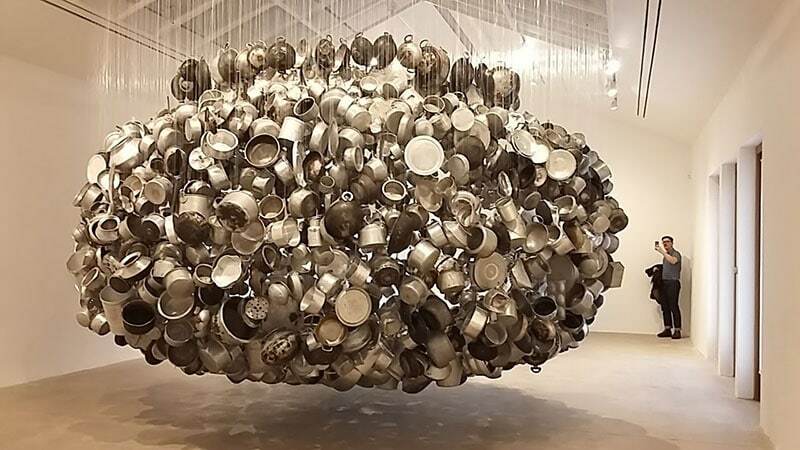 How much does it cost to visit Hauser & Wirth Somerset? The gallery is free to enter – there is an optional donation at the entrance, money from which goes towards nominated local causes. Where is the best place to stay to visit Hauser & Wirth Somerset? Large groups can stay at Durslade Farmhouse at Hauser & Wirth Somerset which is run as an Airbnb property. The six bedroom self catering accommodation was sensitively restored by architect Luis Laplace and Hauser & Wirth in 2012 and can be hired out in its entirety for groups or families of up to 12 people from approximately £650 per night. If your requirements are less substantial then there are various other accommodation options available nearby. We would highly recommend using fabulous neighbouring Frome as your base to explore Hauser & Wirth along with the attractions that our wonderful market town has to offer. 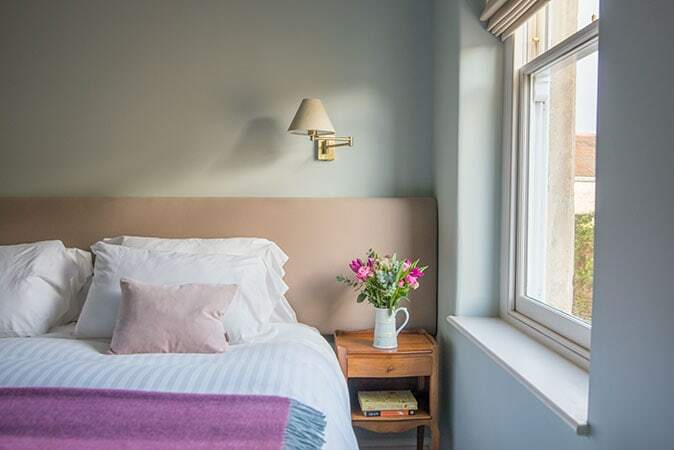 Bistro Lotte has six beautiful guest bedrooms above our delicious French restaurant in the heart of arty Frome. Our B&B accommodation is exceedingly comfortable and offers guests the chance to enjoy a petit ambience Francais in rural Somerset! Bruton is very easily reached by either train or car from Frome. If you are staying at Bistro Lotte we can organise a taxi or advise you on the train times if you do not have a car for your visit. We recommend you book a room or reserve a table in advance – we are always busy and particularly at the weekends. There are many other fantastic days out around Frome – we’ve put together a whole host of ideas for you on our ‘Things to Do In and Around Frome‘ page on our website. How often do the art exhibitions change at Hauser & Wirth Somerset? The gallery generally houses each exhibition for 3-5 months. In between shows, gallery rooms are closed for approximately a week for new installations to be completed. Some of the large sculptures stay for much longer periods of time like the Alexander Calder’s Outdoor mobiles, Subodh Gupta’s shiny steel bucket and tree and Paul McCarthy’s Henry Moore Bound to Fail, a huge bronze female figure very much in the style of the great Henry Moore. If you are planning a visit it is worth checking their website just in case you are unfortunate and arrive in between exhibitions. Which artists have exhibited at Hauser & Wirth Somerset? This list of by no means extensive but artists since the opening in 2014 have included: Louise Bourgeois, Alexander Calder, Paul McCarthy, Don McCullin, Rita Ackerman, Berlinde De Bruyckere, Subodh Gupta, Martin Creed, Catherine Goodman, Matthew Day Jackson. Who have been the Artists in Residence at Hauser & Wirth Somerset? You can read more about all of the artists in residence at Hauser & Wirth Somerset on the website. Is Hauser & Wirth Family friendly? Yes, the gallery welcomes families and children and hold events with families in mind on the first Saturday of every month. Farm day, pumpkin festivals, summer garden events in Oudolf Field are all great days out for all generations. How do I get to Hauser & Wirth, Somerset? Hauser & Wirth Somerset is best reached by car or train. The A303 is just 10 minutes drive away from the gallery giving easy access to London, the South East and South West. If you are travelling from Frome, the beautifully picturesque A359 will take you all the way. Providing far reaching views across to Stourhead Estate, King Alfred’s Tower and the hills of Dorset beyond, it is approximately 12 miles from the centre of Frome and takes just 20 minutes. Once you arrive at Hauser & Wirth there is a large car park which is free of charge. Although often busy at weekends and special events it is generally adequate for visitor numbers and parking is very easy. Bruton train station is 10 minutes walk from Hauser & Wirth – but be aware that the pavement is nonexistent. The road leading to the gallery from the station is fairly fast and windy so not suitable for pedestrians. There is a footpath which leads from the station to the gallery through a field which is often rather muddy. This is fine in the summer when it is dry but best not attempted without wellington boots or walking boots in the wetter months. How far is Hauser & Wirth Somerset from London? 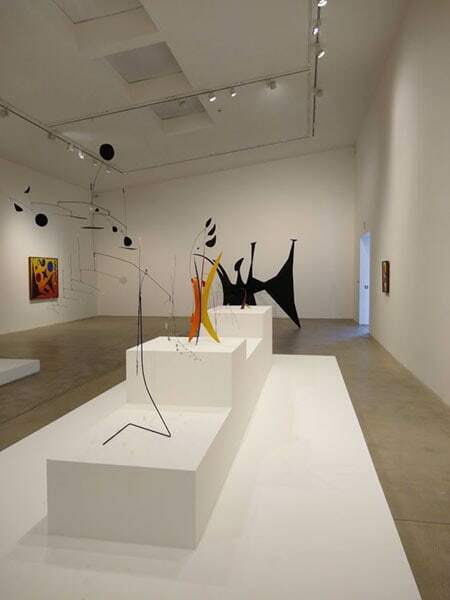 If you are travelling by car from London you can reach the town of Bruton where the world renowned gallery of Hauser & Wirth Somerset is located in a little over 2 hours. Take the M3 out of London then onto the A303 after Basingstoke. Past Stone Henge in Wiltshire, Bruton is in the very south east corner of Somerset close to the borders of neighbouring Wiltshire and Dorset. If you are in the area, why not also make a visit to Stourhead Estate, a stunning National Trust property, Longleat Safari Park or spend an afternoon in arty Frome at the Independent Market. Make Hauser & Wirth Somerset is a destination for contemporary making and the crafted object, from the best emerging and established makers both nationally and internationally. Situated on Bruton High Street, Make is open from 10 am – 1 pm and 2 pm – 4 pm from Wednesday to Saturday. If you are visiting Hauser & Wirth Somerset and have time, then venture down to Bruton High Street to get a feel for this lovely old Somerset town and take a look in Make which is next door to Spar. The Hauser & Wirth empire is expanding further to include a new art publication named Ursula. Ex New York Times journalist Randy Kennedy has been appointed executive editor for the magazine that is named after Hauser & Wirth’s co-founder Ursula Hauser. It will be launched later in 2019. For any further details or enquires regarding Hauser & Wirth, please visit their excellent website. For reservations at Bistro Lotte in the restaurant or for our guest rooms, please visit our website or call us directly on 01373 300646.